The nominations for the 2017 Oscars were announced on Tuesday, and several black actors broke through in all four acting categories. Mahershala Ali (Moonlight) received a nomination for Actor in a Supporting Role;Viola Davis (Fences), Naomie Harris (Moonlight) and Octavia Spencer (Hidden Figures) were nominated for Actress in a Supporting Role; Denzel Washington(Fences) scored a nod for Actor in a Leading Role; and Ruth Negga (Loving) earned a nomination for Actress in a Leading Role. There are 24 different categories in total, including the major ones like Best Picture, Best Director, Best Actor and Actress, andBest Supporting Actor and Actress. And aside from other honors like Best Foreign Language Film, Best Animated Feature and Best Song, many of the other awards are more technical, such as Best Visual Effects and Best Film Editing. 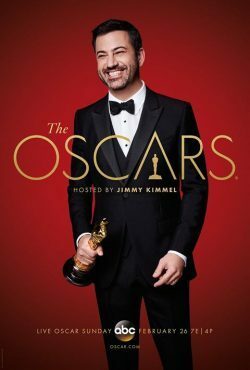 The 89th annual Academy Awards, hosted by Jimmy Kimmel, air live on ABC at 8:30 p.m.ETon February 26. Check out the full list ofOscarnominations and see video of the announcement below!